Over the decades, dentistry has come a long way and we dentists have covered leaps and bounds in technology. The new innovations available to us in today’s world enable us to diagnose conditions even more thoroughly than before, so we can treat them appropriately for the specific problem. Compare this to medical science, for example. When was the last time a doctor simply ordered a chest x-ray for a trauma to the upper chest? 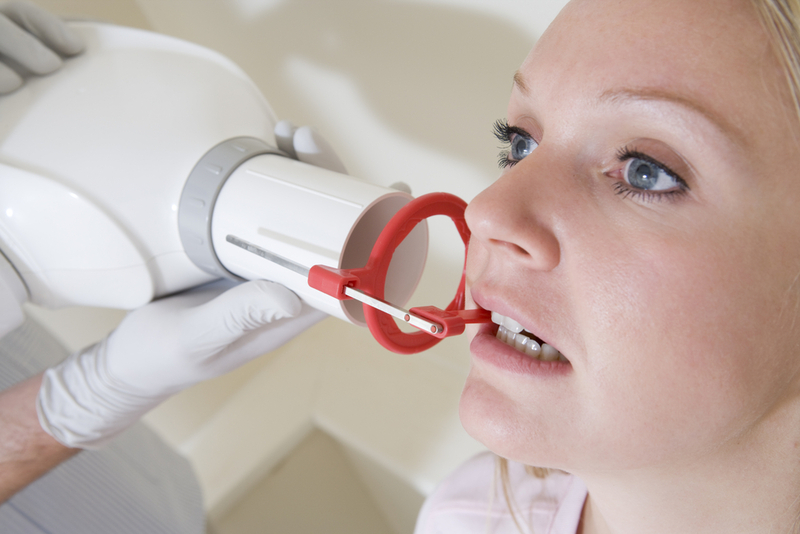 When was the last time a doctor simply conducted a small x-ray of your sinus to assess whether you had sinusitis? Both CT and MRI scans have now become mainstream technologies to diagnose medical conditions, obtain highly specific solutions, and treat patients either medically or surgically. It is the core standard in medicine. The same cannot be said of dentistry, where a large proportion of dentists still use two-dimensional black and white x-rays. Healthy Smiles Dental Group Blackburn South is changing all that, having recently installed an advanced three-dimensional colour CT scan in our practice. This helps us diagnose any and all of the dental conditions that a patient might present to us with, with a high level of accuracy, enabling us to pinpoint exactly the source of the problem. Despite these technological advances, several misconceptions surrounding advanced 3D x-ray systems remain. Today, I would like to bust 4 of these myths for you. The first and most popular myth is that it costs too much. Well, that’s not the case – it’s actually a fairly inexpensive modality. While they may cost fractionally more in comparison to traditional x-rays, the amount of information that can be obtained from 3D x-rays more than balances the cost out. This is particularly when looking at areas which are in the front to back plane, for example an impacted wisdom tooth, a sinus problem or a fractured instrument inside the root canal treatment. These are some of the conditions that can be visualised with great accuracy, and diagnosed and treated effectively. From a cost perspective, the long-term cost of inaccurate diagnosis or missing a problem is far too high as opposed to the fractionally higher cost of having a 3D x-ray done. The second myth that most patients have is that 3D x-rays have too much radiation. This myth mainly stems from all the excess radiation that comes from medical CT scans and MRIs that are routinely used for patients in hospitals. Dental cone beam polymetric radiography, which is what we call 3D x-ray, has a very small increase in radiation as compared to regular 2D x-rays. For example, a full-mouth 3D x-ray with the new machine we have installed at Healthy Smiles Dental Group only has about 20% more radiation, and a highly accurate mini-dose function. This mini-dose function means that it can gather all the data from the 3D imaging in a low dose fashion so in terms of equivalent extra-terrestrial radiation. This is how we compare the amount of radiation we get from x-rays in the medical and dental fields. The radiation equivalent of having a mini-dose full mouth 3D x-ray is about spending a return flight in extra-terrestrial radiation from Melbourne to Sydney. The third and the most important obstacle we face with patients who cast a 3D x-ray is they often tend to not want to travel to radiology centres outside the dental practice to have these x-rays done. This is the main reason why Healthy Smiles has brought this technology right to our doorstep. 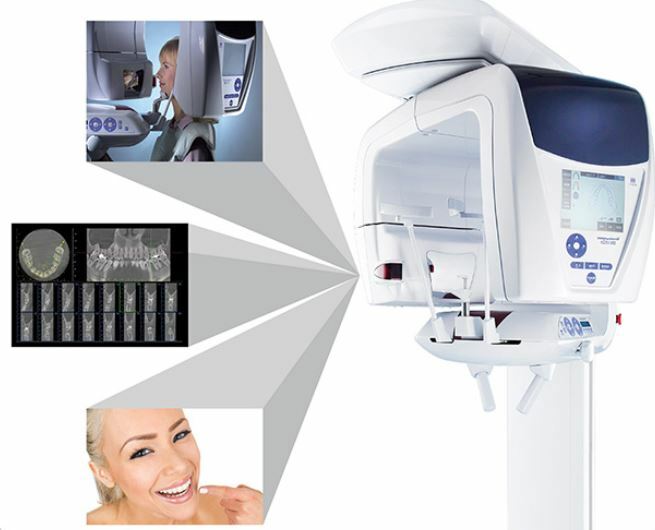 We decided to invest heavily in a 3D x-ray system at our practice to provide our patients with the convenience and the privilege of having their diagnosis done at the same appointment in which they are presenting with the problem. In terms of treatment time, the ability of the 3D x-ray to provide a full diagnosis within 10 minutes of the patient’s appointment time accelerates treatment time by up to 4-7 days. If we can get in that early to treat the problem, imagine the pain, anxiety and trauma the patient can avoid. The typical waiting time to receive an accurate diagnosis from the radiology centres with traditional x-rays can be up to a week following the initial presentation, during which period complications may develop; the drastically reduced time with 3D x-rays prevents these as well. The fourth myth is that dentists are not trained enough to perform these 3D x-rays. That is a valid concern that patients might have. And the reason for that is that dentists are not usually trained to perform, interpret and diagnose 3D x-ray in dental schools. At Healthy Smiles Dental Group, however, Dr Ved Berani and his associates have received full accreditation and advanced training in the taking of the x-rays, diagnosing the data that’s obtained from the scan as well as writing up interpretations. We utilise specialist radiologists in advance conditions, where we have formal reports written up by maxillofacial radiologists. These are detailed reports of all problems underlying the identified condition(s). It is important to note that thorough training is crucial when it comes to three-dimensional radiography because it’s a waste of time, like any other technology, if it’s not used properly. So putting it into perspective, it’s an extremely useful technology at the forefront of advances in dental science that has recently been adopted by my practice and all of my practitioners here. We are proud to be able to present this to our patients; 99% of our patients love the technology, the way we do it and how we are able to diagnose any problems with such precision and accuracy. This is one of the things that sets us apart from all the other dental practitioners in the area, and we can say this for about 45-50 dental practices in a 20-km radius. None of them actually have this 3D radiography present in their practice and have minimal knowledge on how to use this technology. Healthy Smiles Dental Group prides itself on proactively investing heavily in technology to provide high quality dentistry and problem-specific treatment to make the lives of our patients easier. If you would like to know more about how we do things here not only in terms of treating you as a patient and diagnosing your problems but also presenting all available options to our patients in a free, no-obligations environment, feel free to give us a call on 9877 2035, or email us at info@healthysmiles.com.au. We’d love to talk to you about anything and everything you may like to know about dental conditions!